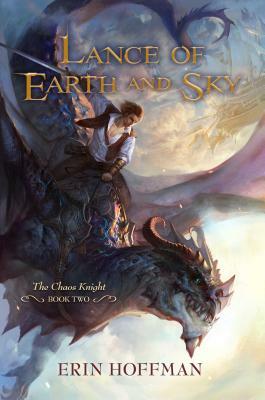 Erin Hoffman is the author of Sword of Fire and Sea and Lance of Earth and Sky. She was born in San Diego, California, and now lives with her husband, two parrots, and a dog in the San Francisco bay area. Her college degree was eclectic and landed her in the strange waters of video game design, where she tells stories using a diabolical combination of character, controller, and math. Her games have been played by over four million kids and adults worldwide, and she is a graduate of the Odyssey Fantasy Writers Workshop. "If you like hard-hitting fantasy adventure with a lot of magic, this is your series." "Sword of Fire and Sea is fantasy adventure in the classic tradition, and Erin Hoffman is a fine storyteller. Read it and be swept away." ". . . a thoroughly enjoyable read, with an intriguing new world and civilization." "A high magic adventure with relentless action, exuberance and occasional over the top scenes that work well here. …A and highly recommend to anyone looking for a fun adventure with lots of magic and a little romance added in the mix." "An incredibly exciting and compelling read."